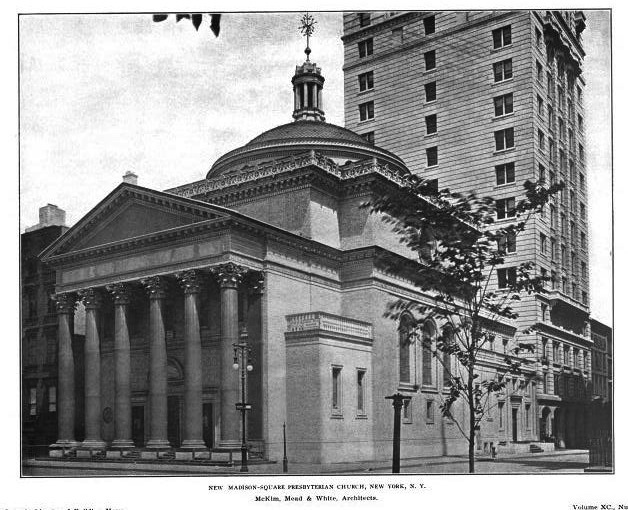 The Madison Square Presbyterian Church designed by McKim, Mead & White c. 1904 at Madison Avenue and East 24th Street in New York City. The church was demolished in 1919 and eventually replaced with the Metropolitan Life North Building. 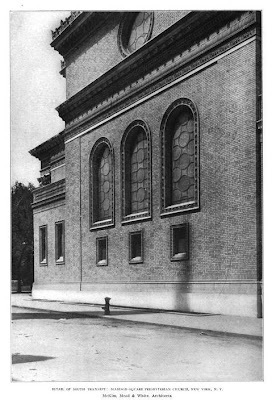 Click HERE for more on the Madison Square Presbyterian Church. 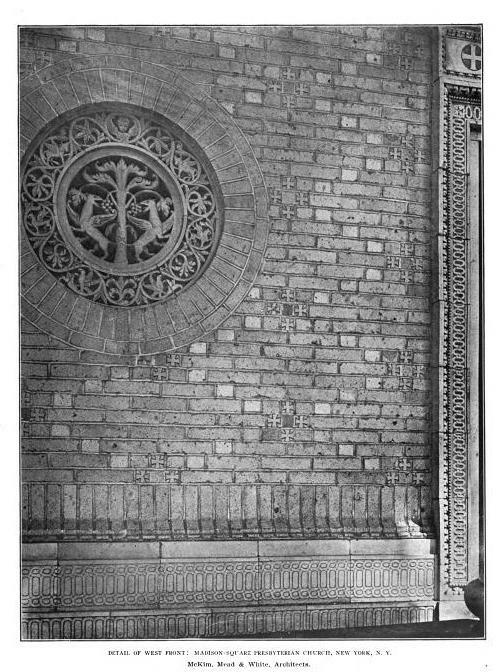 Photos from American Architect & Architecture, 1906. The loss of this building was hugely lamented even in its own time. Very too bad. 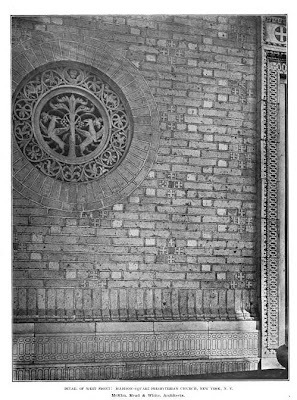 anytime that any combination of White, various de Forests, and Louis Tiffany occurred, magic followed. White and Tiffany's feeling for pattern, separately and in collaboration, have never been excelled, in my ever humble opinion.